This is sort of a weird question, but did anyone else notice RG3 sticks his tongue out a lot before the snap? What the heck is up with that? Also, why does Cruz do the triangle "HOV" symbol after his salsa dance now? The sign that Cruz throws up is because of the new Nike gloves. When you put them together like that, they make the Giants logo. Pretty sweet. Cruz loves his team. Yeah, I just saw a pic of that on Facebook. Thanks, and good call NYGiantsman10. ... and we love Cruz, too. Hoping we can keep him here his whole career. Awesome player and awesome guy. Same with Nicks. Man it would make me so happy if we had those two for the next 8-10 years. yea Cruz is a Giants lifer. He will stay loyal to the team that stuck with him and gave him a shot. I suspect the Giants organization will take care of him with a lucrative contract when the time is right. 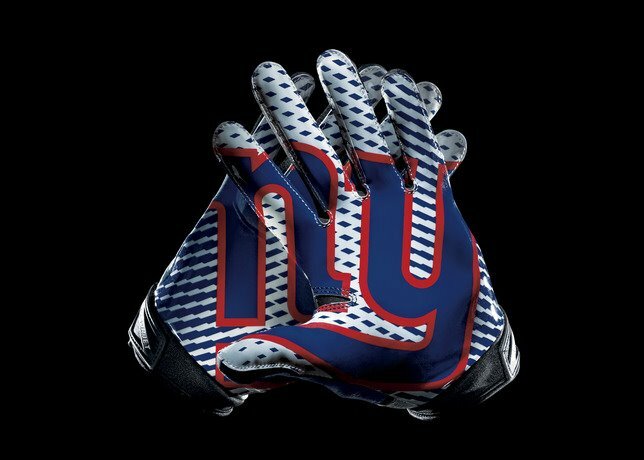 I believe Cruz, Nicks, and Eli will spend their entire careers in blue. I think the time is right for Cruz. Call me crazy but he has nothing left to prove to me. Don't play chicken with the guy who (outside of your QB) is the lifeblood of the offense. You know how we always say a QB has "it"? Like that intangible greatness that makes him raise his game in clutch situations? Cruz has "it". How many times has he bailed out our offense in the past year and a half. He's an absolute baller. Pay this man Jerry. Pay this man. And BTW what was wrong with bradshaw, seemed mad today. Redskins CB DeAngelo Hall on the #NYG 77-yd TD Sunday: "I don’t feel like (Eli Manning) made that play. I feel we gave him that play." DeAngelo Hall believes the Washington Redskins gave the game-winning 77-yard touchdown bomb to Eli Manning and Victor Cruz on Sunday. Oh well. As long as teams like giving out wins we will keep taking them. It's like Xmas in October.